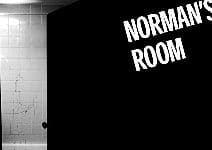 Gore Store consists of vendors who I have offered web space on my site so they can help my visitors with all they need to feed their horror addiction. As always, these are vendors that I have done extensive business with and they all offer outstanding quality and service. If any business is interested in input their merchandise on my page, please e-mail. Otherwise please enjoy the offerings these fine vendors have made available. We have finally gotten around to doing a “House of Horrors” T-shirt. 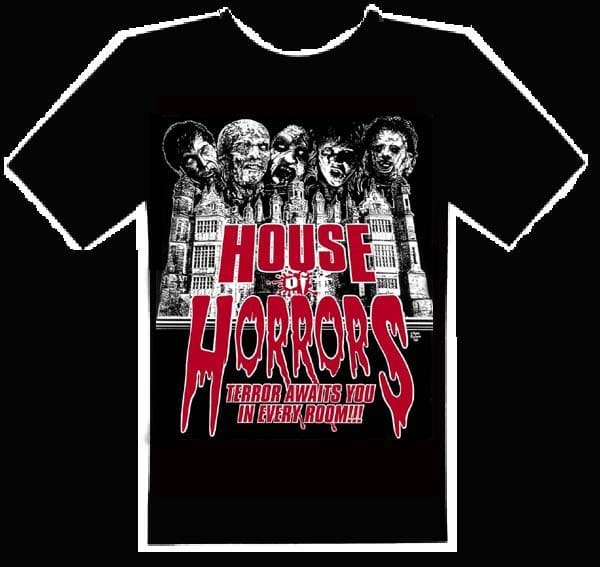 Legendary Horror artist and writer Chas Balun has just completed a one of a kind design for the House of Horrors t-shirt that will rock your world and make you the envy of horror fans around the world. The two-colored shirt will be hand silk-screened on black heavy duty American-made shirts. The price will $15.00 postpaid in the US. Canadian orders add $1 and foreign orders add $3 for additional shipping. It will be available only in sizes L, XL and 2XL. You can use any major credit cards, as well as, money orders, and personal check. Payment in US Funds ONLY!!!!! Click here to order with a credit card on our secure server. Specializing in hard to find Eurohorror, sleaze, and exploitation videos. Checkout the outstanding T-shirt posted on this site. I have bought them all and the quality is outstanding. Soundtracks and much, much more. Outstanding quality and service. Visa and MasterCard accepted. Secure Online Order !!! bhmedia@pacbell.net The new leader in quality exploitation, proudly announces the two most eagerly-awaited releases of the decade… LUCIO FULCI’S LEGENDARY 1981 CLASSIC OF NIGHTMARE HORROR THE BEYOND, AND UMBERTO LENZI’S NOTORIOUS EPIC OF BRUTALITY CANNIBAL FEROX (aka MAKE THEM DIE SLOWLY). Bringing the world of exploitation to laserdisc, video, and beyond. Checkout our upcoming release of “Cat in the Brain” on laserdisc. Don May, Jr. has some classic horror tapped for laserdisc and DVD. First up “Dario Argento’s World of Horror” and “Document of the Dead”, a documentary on George A. Romero and the upcoming “Deadbeat at Dawn” and “Vampyre Lebos”.